Legendary horror director John Carpenter lists his top six games of the year and his picks might surprise you. 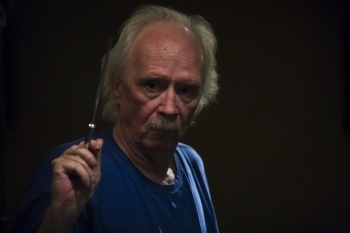 Film director John Carpenter (Halloween, The Thing) is known worldwide for directing some of the horror genre's most iconic movies in history; but did you know he likes playing videogames, too? Talking to GiantBomb, Carpenter lists the six games he deemed the best in 2013 and his choices aren't full of horror games as one might expect. 1. ASSASSIN'S CREED IV: BLACK FLAG - Classic ASSASSIN'S CREED gameplay, awesome world, fabulous game. 6. BORDERLANDS 2 - I know, I know, it's from 2012, but the last add-on is this year and this is a brilliant, funny, action-blasted game! My favorite! Now, kind of surprising here is out of the six games, Carpenter chose only one that can even be considered a horror title and that's Dead Space 3 -- and given how the game turned out, it can be argued that it's more of a sci-fi action romp than a scare affair. Regardless of what you think of his films, that's not a bad list by Carpenter. Equally surprising is they're all "core" games, too. In videogames, Carpenter's last involvement was as the narrator and story consultant on F.E.A.R 3, which was released back in 2011. Want more top game lists? Go read up onThe Escapist's "Five Favorites of 2013" to quench that thirst!